Natalie decided to start her own business on Shopify. She has done a lot of market research, knows who her ideal customers are, and decided what products to sell. But there is still one problem: how to price the products. She settled on a price, but it doesn’t feel quite right. She is not alone in thinking this – some friends mentioned she’s undercharging. But she’s terrified of raising the price and putting people off. Should she focus on quantity over profit so that she can break into the market? How do you feel about pricing? Are you secure in your pricing strategies or are you still trying variations to determine what would be best? Are you using dynamic pricing? Have you ever panicked when your customers said your prices were to high? Did you decide to drop them instantly when you noticed a competitor was underselling you? Or worse yet: Do you know what you are basing your prices on? 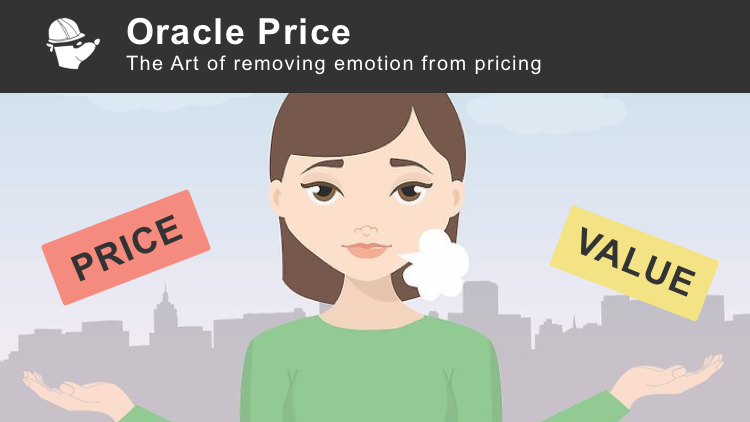 We are all human so we tend to let our emotions influence our decisions - our pricing decisions. We want to break into a huge eCommerce market, we want success, we want people to want to buy from us. But dangers lurk in emotional pricing. Underselling means you need to sell higher volumes to break even or make a profit, which requires much more effort on your end. People attribute price with value, if prices drop too low you are often considered to sell products of lesser quality. When low pricing strategies backfire, you lose customers and end up having to rise prices for a smaller customer base, just to break even. All of the above are important to consider. If your price is too high, you will hit what is know as the "price ceiling". This is the maximum price anyone is willing to pay for a product. This will cause you to lose sales as there is no demand at this price. On the other hadn the price floor is the lowest price you could be selling at. This not only causes the consumer to believe it is less valuable but also for you to be unable to gain any profits at such a low point. Finding the perfect middle is important. In PriceMole we have developed Price Oracle, our dynamic pricing tool that helps maximize profits. Price Oracle takes all of your competitors prices across the market into account. Then it considers psychological pricing, that pursued the consumer to buy, additionally it considers deals and seasonal trends and suggests the best price at the current time. With machine learning the Oracle can suggest a price strategy that will not frighten your consumer or make you undersell. Oracle is there to boost profits and generate additional revenue for you. Give it a try, maybe the emotions are holding back your sales and profit game!